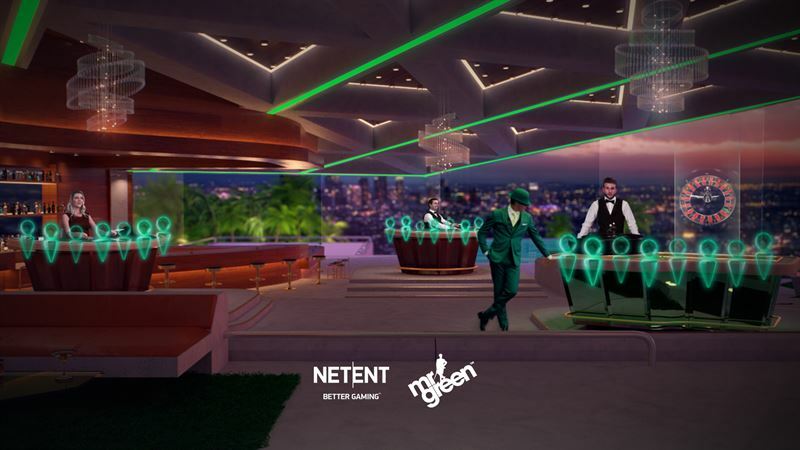 NetEnt, the leading provider of digital gaming solutions, has at ICE Totally Gaming 2018 unveiled its newest gaming solution developed in collaboration with Mr Green; a fully immersive 3-D live casino experience with embedded live streams and graphics at the touch of a button. NetEnt’s fully customizable solutions add a real differentiation to the live casino world using an innovative approach. This gives operators an interactive and social environment to provide to their players. Mr Green’s customized solution, Live Beyond Live, will offer their players a unique branded gaming experience. NetEnt’s latest addition to its Live portfolio offers a totally new and full casino experience on mobile whether playing on the move or from home. The fully customized digital experience has been enriched thanks to NetEnt’s digitalized background technology, which has realized its full potential with this product and adds a new dimension to the standardized live casino market. A virtual casino lobby opens the door to players, and inside they’ll find a multi-table environment with live dealers and a choice of different tables to join. Roulette and blackjack are the games currently available to play on the platform. Henrik Fagerlund, Chief Product Officer of NetEnt, said: “The latest addition to our Live portfolio was created so we were able to provide a more immersive setting and to break down the physical constraints to create, what we call, a larger than life experience. NetEnt’s newest gaming solution was developed in collaboration with Mr. Green. Together, the new venture will be unveiled at ICE Totally Gaming 2018. To find our more and test it out please visit stand NetEnt’s Stand N3-242.